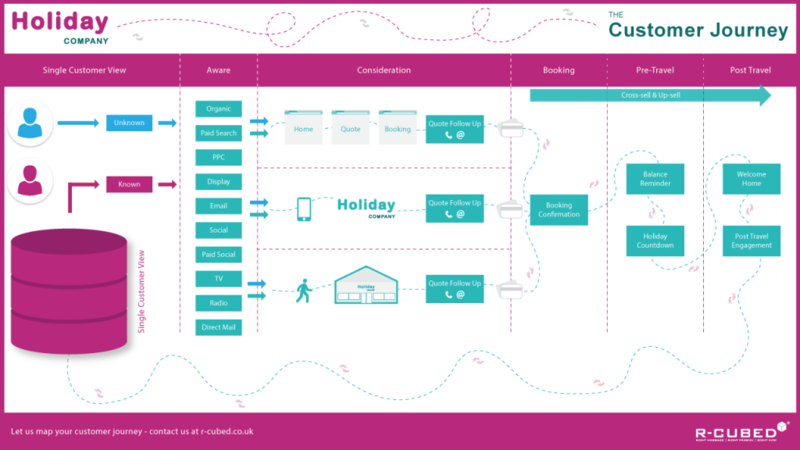 Have you mapped out your customer journey communications? A well-thought-out customer journey can maximise results at each stage of the journey and generate huge increases in sales and profits by delivering more engaging, personalised communications. Not only do your customers benefit from having more relevant and timely information, but you can increase revenue by targeting tailored cross-sell and up-sell messages, getting the right message to the right person at the right time. But when it comes to designing a customer journey programme many businesses have never gone beyond a standard welcome strategy and a last ditch attempt to reactivate dormant customers. With an ever-increasing number of touchpoints and real-time interactions it is more important than ever to ‘join everything up’ into a holistic and consistent view of the customer journey. In this series of five articles, we look at the key stages of a customer journey programme and how you can use technology, combined with your knowledge of your customers, to drive real value at every stage. This month, we start with building and harnessing customer awareness. Awareness is all about getting your brand and products in front of your potential customers. Like the shopkeeper of yesterday, you need to set your stall out and hope to attract browsers, then turn them into customers. But unlike the traditional shopkeeper, the modern marketer no longer has to rely on people walking past his shop or a word of mouth recommendation – although both can still have their place, even in today’s multi-channel world. 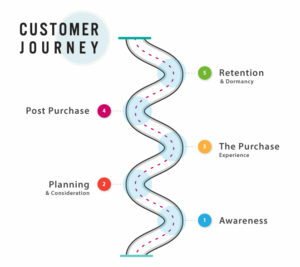 Awareness is often thought about purely for ‘acquisition’, but in a well-designed customer journey programme awareness applies equally to your past enquirers, past customers and even active customers (e.g. anniversary of quote/purchase/booking). Because someone was aware of your marvellous services once, it doesn’t mean you still front of mind. You want to ensure that you are on their radar as they start to think about their next purchase. Building awareness today involves not only making your shop window as attractive as possible – whether that’s a physical building or your website – but also using the channels that will help prospects find you at the right time. The media mix works differently at different stages, from awareness to conversion. For example, TV and display play important roles in raising awareness but can often be less effective as conversion media. Many companies will have an ongoing tracking study to monitor their brand awareness and brand equity. 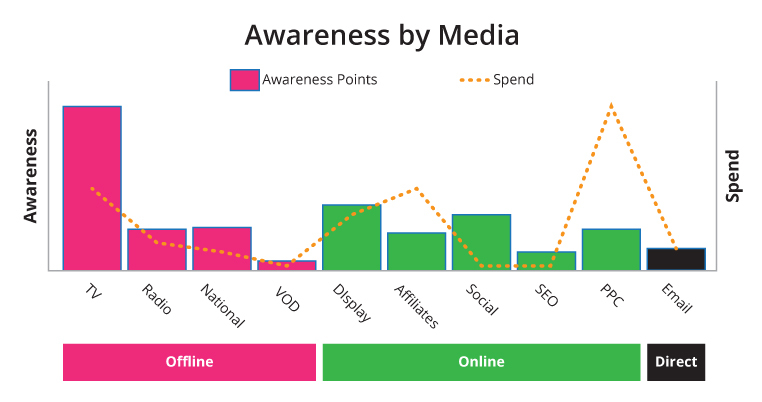 This data can be analysed to determine the relationship between the media mix and awareness, and provide great insight into the relative impact of each marketing channel on share of voice, brand awareness and brand equity. The risk of not doing this analysis is that media is not optimised to achieve maximum awareness – or worse, media spend is wasted. 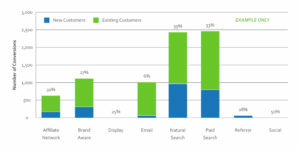 However, this analysis alone does not optimise awareness for the right type of customer. Just as you build a marketing strategy that takes into account of which media drive what sales, it’s equally important you understand which channels will drive awareness for which types of customers. After all, nobody wants to spend money attracting unprofitable customers. For optimum use of the marketing budget, awareness needs to be generated amongst the right prospects – the ones that you wish to convert. Tracking an individual and the media that they are influenced by shows which media mix is bringing in which type of customer, such as those that turn into high value customers. To illustrate this point, an individual customer path may start with a Display impression, followed by a click-through on a Paid Search link and finishes with a sale following an Email. From this we know that the first tracked channel – an awareness channel – was Display. Analysing the paths can provide insight into the most effective awareness media to attract valuable customers. This type of analysis and the attribution exercises that follow are well established, especially in the ‘digital only’ space. However, in the multi-channel world a step-change in results can be achieved by joining up your offline touchpoints, such as direct mail or a call centre discussion, to see the true impact that each channel, and your budget, has on results. The advantage of tracking the individual paths in this way is that real detailed customer journeys can show the Awareness, Consideration and Conversion media for each individual, clearly showing which media mix is bringing in the right type of prospect. For example, our clients use this method to ensure that the media mix is targeting brand new customers and that they are not investing valuable marketing budget to target individuals that they already know. After all, previously known individuals are a) already aware of the brand and b) can be contacted by less expensive media such as Email. To find out more about the joined-up approach to selecting the right media mix to attract the right customers, using customer paths and attribution, read our white paper on Multi Channel Attribution here. The sooner you start to identify and track people who are becoming aware and showing an interest in your products or services, the greater your chances of making a sale. And for that to happen, you need a Single Customer View. Despite its name, a Single Customer View (or SCV) isn’t just for customers. It gives a current and historic multi-channel view of individuals that have contact with your brand, and it’s an essential tool for tracking and combining the behaviour of anyone who interacts with you – even if you don’t know who they are or they haven’t given you any personally identifiable information yet. Prospects will typically visit your site a number of times before – or indeed if – they choose to buy from you. The more times they visit, the better the picture you’ll build of who they are and what they’re looking for – but only if your SCV is bringing all the data into one place. Your SCV can tell you what route they’re taking to find you, how long they’re spending on your site and what they’re looking at. So even before you know their name, you’ve got a pretty good idea of what they’re interested in and the channels they’re using to find you, meaning you can adapt your awareness and acquisition marketing accordingly. What’s more, you can use this data to personalise your website, making the content more relevant and dramatically improving your chances of making a sale. Once someone’s browsing your website, invite them to sign up for your newsletter, promotions and offers. It enables you to strengthen the relationship and, critically, enables you to contact them with relevant content and make sure you’re on their radar for when they’re ready to purchase. A word of warning though – don’t immediately bombard them with emails and always make sure your marketing permissions are correct and compliant. The companies who are winning at optimising awareness are the ones who have mastered the ability to collect, analyse and use their data. Although it may seem overwhelming to achieve, having the right tools and know-how will make this easy. If you’re not sure where to start, just get in touch and we’ll point you in the right direction.